"They figure that since you’re not in a stable living situation, then you’re not a stable person." The Voices of Youth Count Steering Committee is composed of private and public funders whose vision and guidance ground the effort in a strong knowledge base, national and local problem solving, service delivery, and a catalytic approach. Each has its own unique relationship with the field, contributing by means of funding, community building, and driving the creation of new knowledge to prevent and end youth homelessness. Arcus Foundation is a global leader that champions respect for diversity among peoples and in nature as essential to a positive future for our planet and all its inhabitants. Ballmer Group Philanthropy is dedicated to the protection, education and development of underserved and at-risk children and families, and does this through grant making, collaboration, investment in systems reform and civic engagement. Campion Foundation was founded in 2005 by Tom and Sonya Campion, the Campion Foundation works to protect wilderness, end homelessness and strengthen the nonprofit sector through leveraging resources for the greatest possible impact. Casey Family Programs is the nation’s largest operating foundation focused on safely reducing the need for foster care and building Communities of Hope for children and families across America. Chapin Hall at the University of Chicago is a research institute focused on providing public and private decisionmakers with rigorous data analysis and actionable solutions to support them in improving the lives of vulnerable children, youth and families. Elton John AIDS Foundation is one of the world’s leading nonprofit organizations supporting innovative HIV prevention and stigma reduction programs and direct services to people living with HIV/AIDS. Melville Charitable Trust is the largest foundation in the United Stated devoted to supporting solutions to prevent and end homelessness. Raikes Foundation partners with innovative organizations and creative thinkers who are making lasting, positive changes in the lives of young people. 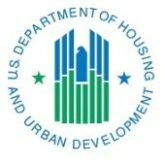 The U.S. Department of Housing and Urban Development‘s mission is to create strong, sustainable, inclusive communities and quality affordable homes for all. Potential funding partners are encouraged to contact Voices of Youth Count to hear more about Steering Committee membership and engagement. Have questions, or want to connect with us? Send us an email and we'll get back to you, asap.